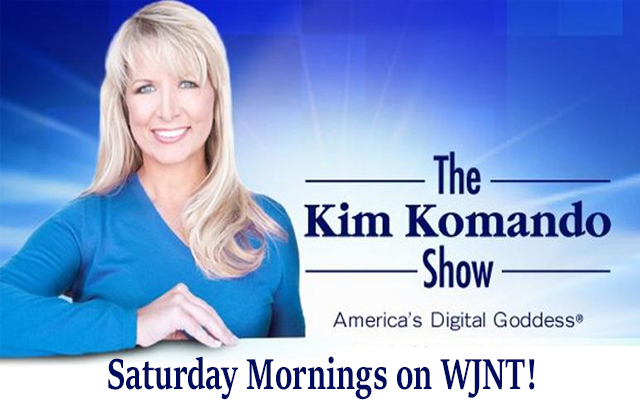 My 3-hour show Saturdays from 9 am til noon is jam-packed with over 35 different tips, security alerts, insider secrets and everything you need to know to stay up-to-date in the digital world. I share the latest gadgets out on the market, breaking tech news and how they impact your life, money tips to make the most out of your earned money, and privacy tips to help you stay safe and secure when you’re online. And the show isn’t complete without my callers! Every hour I answer their questions about everything digital from online addiction to how to select the best way to share videos and photos in an ever-changing world of technology. Don’t miss a single show. You can watch me or listen to my show anytime at your leisure. Miss the show on Saturday? Catch the replay Sunday nights 9 pm til Midnight. My passion for all things digital – and decades of experience in the tech and computer industry – has made me the go-to expert for living in the digital world. My weekly radio show and daily “Digital Minute” are heard on nearly 500 stations; millions more get tech guidance and advice at Komando.com, read my weekly column on USAToday.com, and receive my email newsletters. See me in action, get to know my amazing crew, go behind the scenes during commercials for hilarious chit-chat, and more! The Kim Komando Show streams weekly and exclusively to Kim’s Club members. Not a Kim’s Club member? Join today and start streaming directly to your TV, computer, smartphone or tablet. Watch the show anytime you want. With ten HD cameras in the studio to record all the action, you won’t miss any of the behind-the-scenes fun. Komando FREE Podcasts are in-depth conversations with leading decision-makers covering hot tech topics. These podcasts are short in length and are meant to be listened to at your leisure. They are perfect when you’re exercising, making dinner or on your daily commute.